This is a 4 week old male who undergoes an omental biopsy. 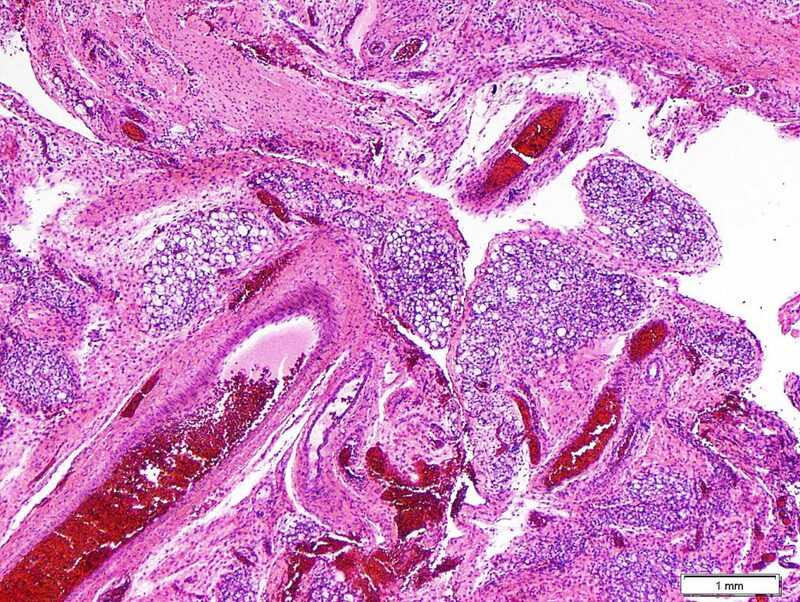 Differential Diagnosis: Well differentiated liposarcoma occurs in adults and would feature atypical, hyperchromatic lipoblasts in fibrous septa. 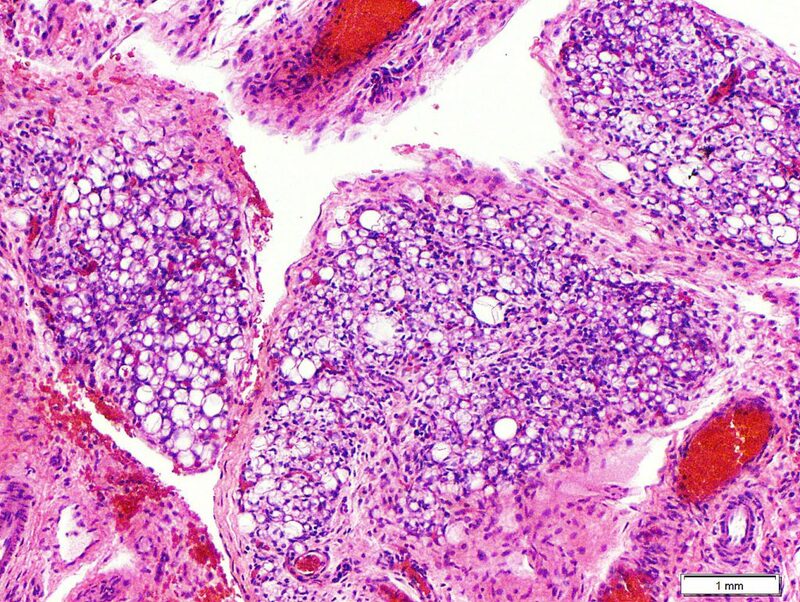 Lipoblastoma resembles the current lesion; however, there is typically a mass lesion present, and the more immature appearing fat is at the edge of the lobules of the lesion. 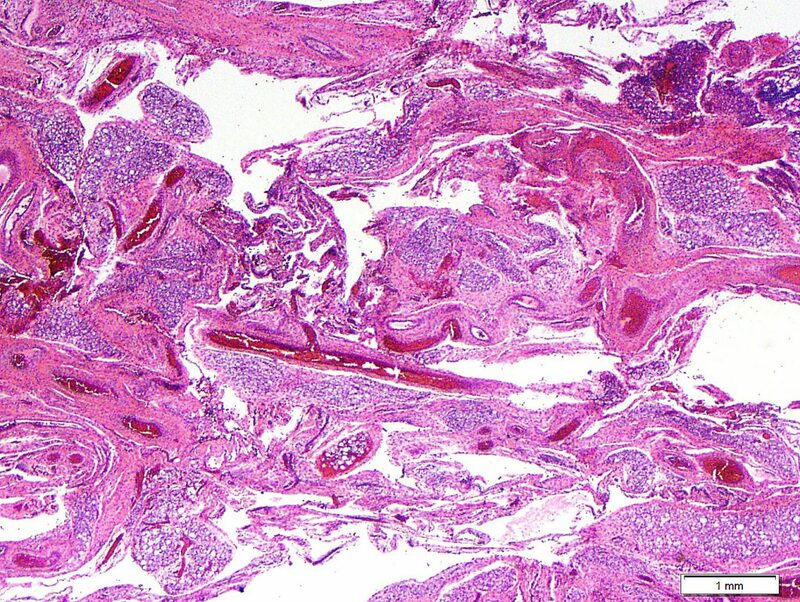 Myxoid liposarcoma similarly makes a mass lesion and demonstrates greater cytologic atypia.